Pioneer DJ Equipment - Akwil Ltd.
Pioneer DJ Equipment There are no products in this category. The PLX-1000 is precision engineered for the booth, drawing on 50 yearsâ€™ experience of making high-end turntables. The result is a familiar layout with some next generation improvements, including a high-torque direct drive system, multi-pitch control, club-grade build and sound quality, and detachable power and audio cables. Itâ€™s solidly built for excellent vibration damping and ultra-precise, high-grade audio playback. Simply add your choice of cartridge and stylus to the PLX-1000 (not included) and combine with your mixer for an ideal setup for turntablists. An ideal match for DJs is the handmadeÂ PC-X10Â (sold separately). Pioneer Mixers have taken a giant leap into the future, as we unveil the CDJ-2000NXS2 and DJM-900NXS2. 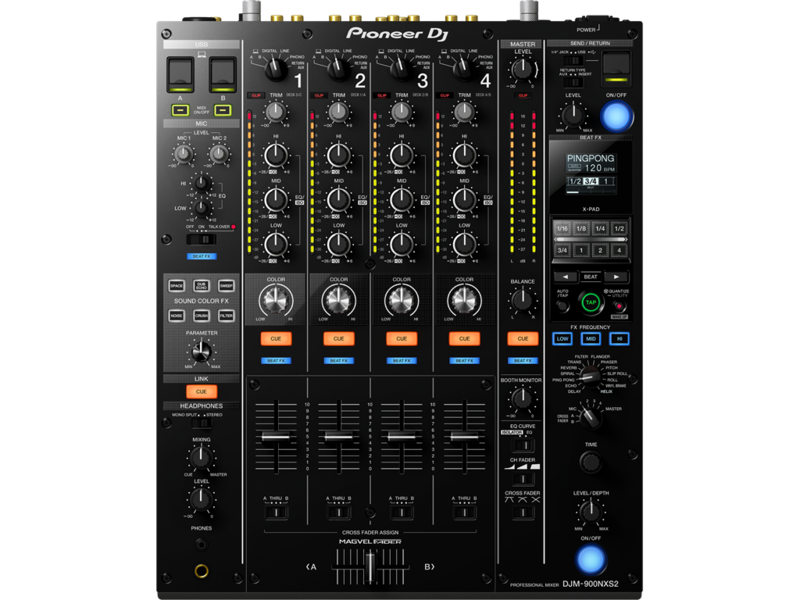 The result of years of feedback from DJs of every genre, the latest additions deliver the highest possible sound quality, finely tuned features and unprecedented levels of control. The DDJ-SZ is theÂ first controller to closely match theÂ CDJ-2000NXSÂ set-up for the most intuitive, physical scratch performances yet. The full-sized illuminated jog wheels deliver a silky smooth, fast response for precision scratching. Plus you can check your playback position or point countdown with the On Jog Display. The DDJ-RX is one of the first native controllers forÂ rekordbox dj, giving you the flexibility to prepare your tracks in rekordbox and then get plug-and-play performance directly from your laptop. The contoller mirrors the DJ software's layout precisely to enable intuitive and creative performances. Low latency jog wheels with On Jog Display, multi-coloured Performance Pads and a four-channel mixer deliver highly responsive, tactile control of all rekordbox djâ€™s performance features. Or you can use the DDJ-RX as a stand-alone mixer. Enjoy all the possibilities of studio FX and beat boxes, with the added physicality of pro-DJ equipment. Features inherited from our flagship mixers and effectors include theÂ DJM-2000's Isolator FX, theÂ DJM-900NXS' X-Pad and theÂ EFX-1000's multiple FX chaining - have been evolved and brought together into one unit. The RMX-1000 gives you intuitive control of multiple parameters in macro, plus you can use our remixboxâ„¢ editing software to completely customise the hardware and load it up with your own banks of samples. Pioneer DJ is drawing on its rich heritage in speaker design to launch the RM Series coaxial active reference monitor speakers for the professional studio. The RM-05 and RM-07 speakers are packed with pro-audio technology to deliver a high SPL and a neutral sound with clear separation across the frequencies â€“ making them the ideal companion for near-field studio monitoring of high-res sounds. 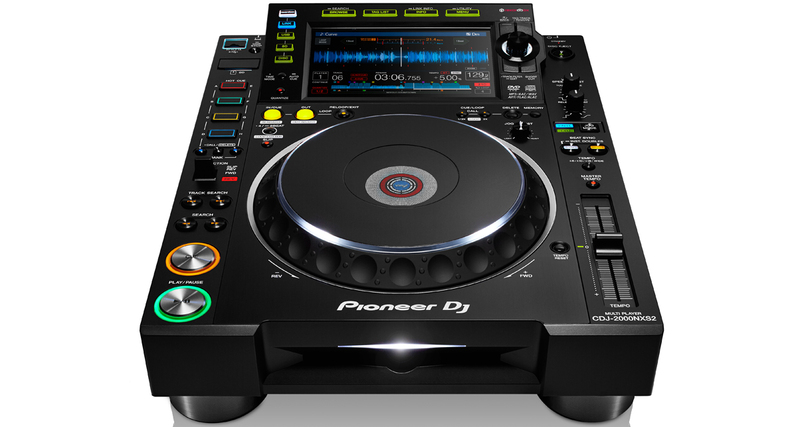 Do you have a question about one or more of our Pioneer DJ Equipment products? Click below to contact us.